Google CEO Larry Page has offloaded leadership of a number of core products to one of his most trusted lieutenants, Sundar Pichai. The fast-rising executive will now oversee Google+, maps, search, research, commerce and ad products and infrastructure. The executives that currently head those divisions will now report directly to Pichai instead of Page according to a report from Re/code. Pichai’s new responsibilities are in addition to his current duties as head of Android, Chrome and Google Apps. News of the management shakeup comes from an internal memo sent to Google employees on Friday. In it, Page said the changes will create less of a bottleneck and help him focus his attention on existing and new products. Sources told the publication that in recent meetings with his staff, Page has expressed a desire to focus on the bigger picture but he’s been unable to do so because he’s been spreading himself too thin. In other words, Page admits that he’s human just like the rest of us and had too many responsibilities under his belt. Even with the lighter workload, Page still has more on his plate than most. He will continue to manage Google X, Nest, Calico, corporate development, legal and finance and business. 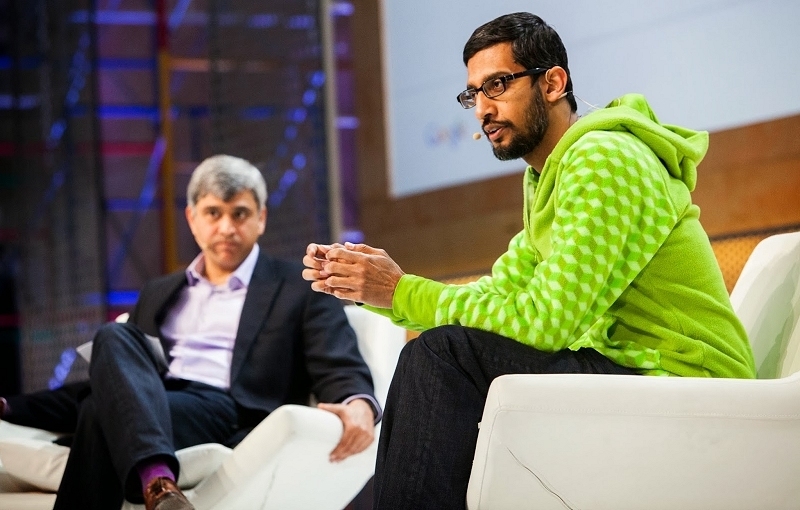 Pichai has seen his importance at Google skyrocket as of late. When Andy Rubin stepped down as head of the Android division in early March, Pichai got the promotion and by all accounts, has done a great job with it.